In 1981 when Mrs. Albert Lee Smith, Jr. was President of the Women's Committee of 100 for Birmingham, an idea was presented to the organization by Mrs. Ralph Whitten for the establishment of an ALABAMA MEN'S HALL OF FAME to parallel the Alabama Women's Hall of Fame, established several years before at Judson College in Marion. The purpose of the Hall was to recognize those men native to or identified most closely with the State of Alabama who have made significant contributions on a State, National, or International scale within their professional field of activity and concern. The idea was readily accepted and a committee was appointed to work with Mrs. Whitten to bring about the establishment of this Hall. Through the presidencies of Mrs. Smith, Mrs. Gilder L. Widemant, Mrs. Harris Saunders, Jr., Mrs. John A. Williamson, Mrs. Chauncy B. Thuss, and Mrs. J. Donald Carmichael, the committee under the direction of Mrs. Whitten, continued to function. Many suggestions for this project were explored by the committee as a funding, permanent housing for the Hall, governing body, guidelines for the selection of the inductees and other items. In 1987, with the assistance of several local citizens, the State legislature passed a bill establishing the Alabama Men's Hall of Fame which was signed by Governor Guy Hunt. The Governor, early in 1988, appointed the Board of Directors composed of two members from each of the seven congressional districts with the exception of District Six where five members of the Women's Committee of 100, the founding organizations, were appointed. Also serving as permanent members of the board are the Governor, the Director of Archives and History for the State of Alabama and the President of Samford University. A volunteer support team from the Women's Committee of 100 assists the Board with the details involved in the annual induction ceremony. Nominations for this honor are accepted from the public. Those nominated must have been deceased for a minimum of two years. The Board makes the selection of not more than three inductees each year. 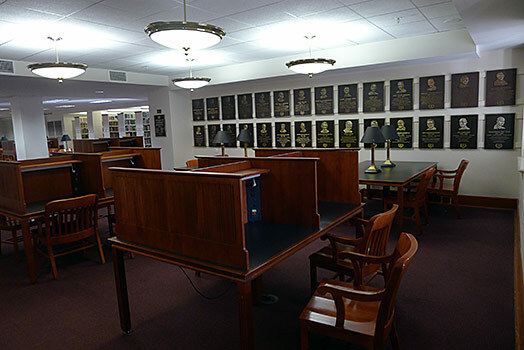 Through the generosity of former President Thomas E. Corts, President Andrew Westmoreland, and others of Samford University, the Alabama Men's Hall of Fame is permanently housed in the Harwell Goodwin Davis Library on campus. The offices of the Hall are located at Samford as well.